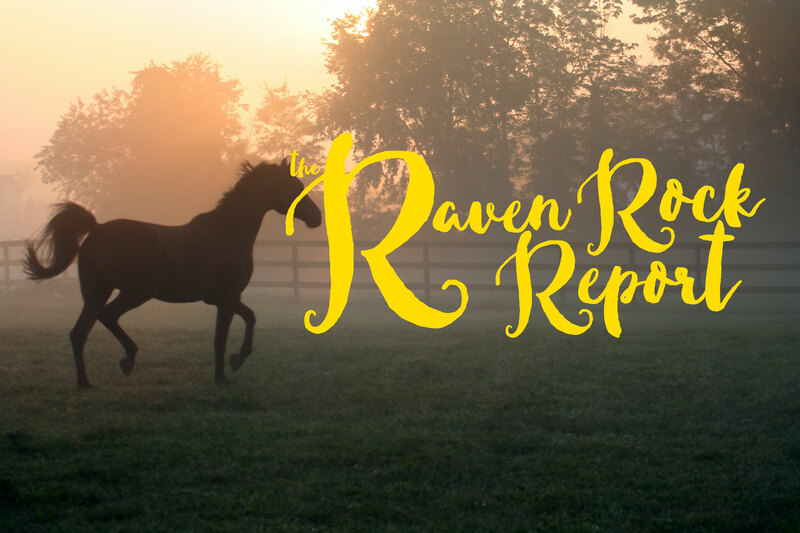 As children count the last few days of school and the sun boldly shines in and out of whimsical white puffs of clouds, we are poised for a new summer of fun, smiles and healing at Raven Rock Ranch. Our horses have had their spring shots and teeth floating thanks to our FANTASTIC vet, Dr. Dana Westerman, who donates all of her time when she cares for our beloved herd. The horses have also received chiropractic and acupuncture when the situation arises, donated by Dr. Taryn Rathbone. A BIG thank you to these two AWESOME VETS!! Ours are some of the healthiest, happiest horses in the world- excellent care and a bunch of children to love them. So much attention has recently been focused on suicide. The numbers are staggering: It is the third leading cause of death in persons 15-24, the 2nd leading cause of death in persons 25-34 years of age and 10th leading cause of death in all people. In a society that spends billions of dollars every year in trying to cure diseases that take people’s lives, it seems that we should be able to help quell the rising tide. Instead, the rate of death by suicide has increased over the whole population by 25%, in teens, it has DOUBLED since 2007. Understanding the “why” is important for unlocking the “how.” Often it is attributed to “depression.” But to what do we attribute the depression? Too often we want immediate resolution by treating the symptom with a medication rather than doing some root cause analysis and healing. At Raven Rock, we often have suicidal children coming to the ranch. Some symptoms are: no friends, refuses to attend school or is overly anxious at school, losing/gaining a lot of weight, and disengaging with family members. There are more symptoms, but merely addressing weight loss or gain, for example, with just a look at physical reasons and medical solutions, the root cause is completely overlooked. Our success with extinguishing suicidal ideation is excellent, if we have enough time for treatment. Research has shown that in most cases, the suicidal person does not want to die, but wants something to stop- something that causes pain, either emotional or physical. I’ve heard it said that “Behavior is the language of those who have no voice.” When someone attempts suicide it is as strong a cry for help that he or she can make. A beautiful young girl, age 13, came to Raven Rock for treatment. As often happens, Raven Rock was her “last hope. “ She had been adopted from a country where children were commonly treated in horrifying ways. Her parents and grandparents were wonderful, supportive people who loved her. But, even though she had gone through very much therapy elsewhere, she could not feel loved nor could she return love. While here (about 2 years), she learned how to love by loving a horse that loved her in return. The horse had no agenda, no expectation of behavior. If she was having a bad day, the horse allowed her to find that peaceful place by just standing with her. We were all very encouraged by her progress. Unfortunately, this young girl’s behavior did not look like she was improving to her parents. As her emotional brain became unlocked and emotions were freed up, she had so very much to work through. When emotions feel safe, they can come on like a torrent. The parents did not have a way to cope with what was breaking free. I wish we had our Parent Resource in place at this time. She felt alone in her family so she took some pills, then immediately told her dad. Can you, too, hear her cry? She ended up in the hospital and the parents felt they had to send her to a residential place. I cannot make that decision for them. They had other children to consider and their own lives to manage. She didn’t want to die- she wanted to disconnect her childhood from her new family, to reconcile the differences. I believe it would have eventually reconciled if we had more time with her. I pray that we will see her again. She is one of the reasons that we are putting a Parent Resource into place by the end of the month, God willing. ANY parent who has a traumatized child is hurting. ANY parent who sees behavior that they do not understand (thinking it is just “bad” rather than the root cause) needs help. My sincerest desire is for RRR to give Families a place and resources that will help them thrive, not just survive. In May, we participated in Give Big presented by The Seattle Foundation. We received a total of just over $8200! An especially big THANKS to the Anonymous donor who gave $5000. I don’t know who you are, but I am sure I will meet you in heaven. Your financial support helps us do our important work. I am so grateful! A BIG THANK YOU to all who gave to RRR through the Seattle Foundation. AND A SPECIAL THANK YOU TO LIBERTY ROAD FOUNDATION that has promised to give us just over $11,000 from the Fashion Show last April. We are over 1/3 of the way to that $55,000 we need to cover the round pen that will increase our rolls by 25% THANKS TO ALL!! !